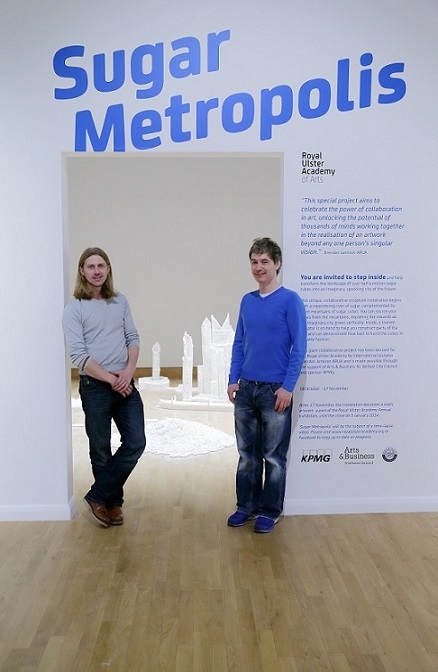 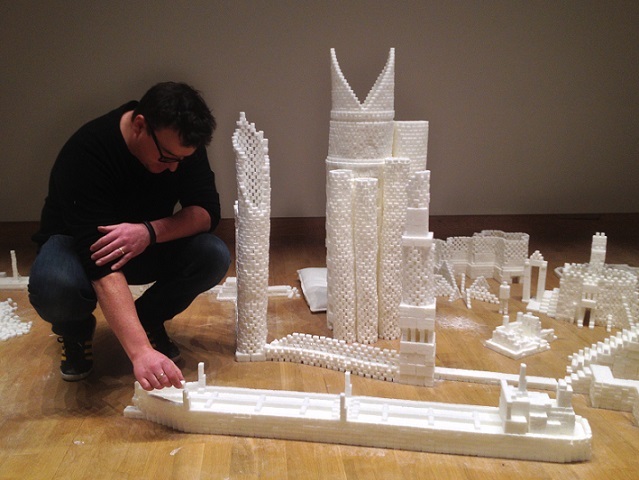 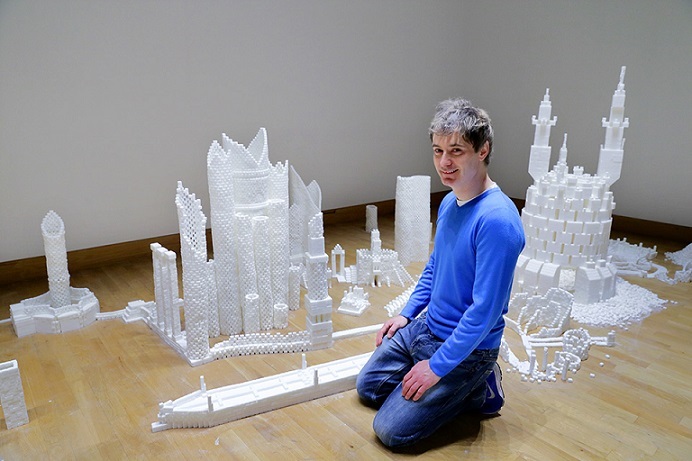 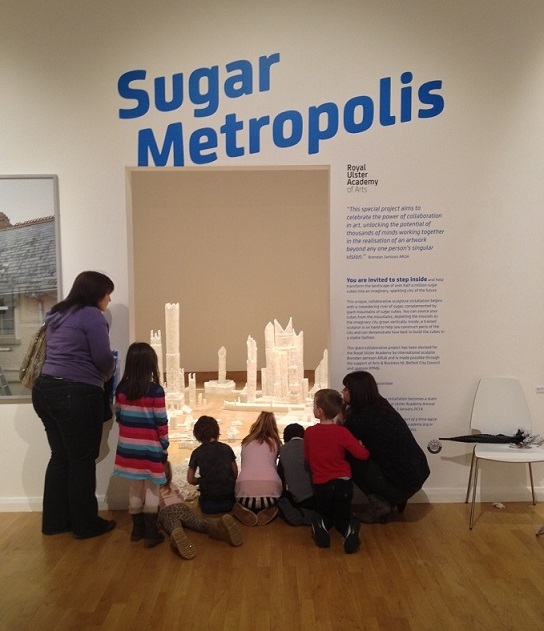 'Sugar Metropolis' is a giant collaborative project devised for the Royal Ulster Academy by international sculptor Brendan Jamison. 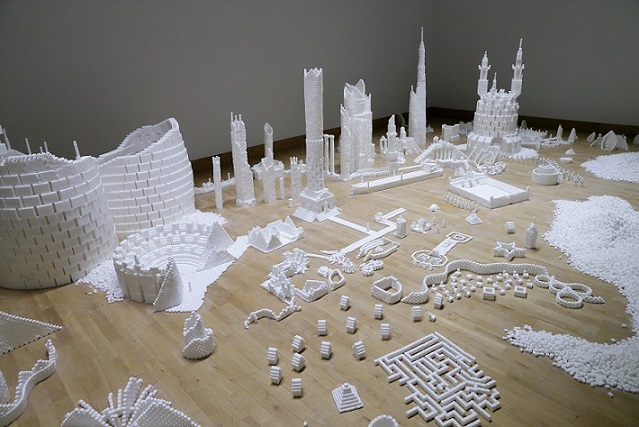 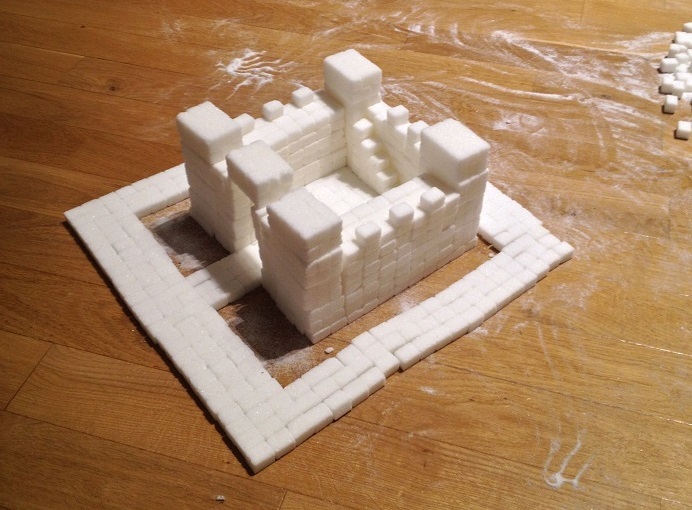 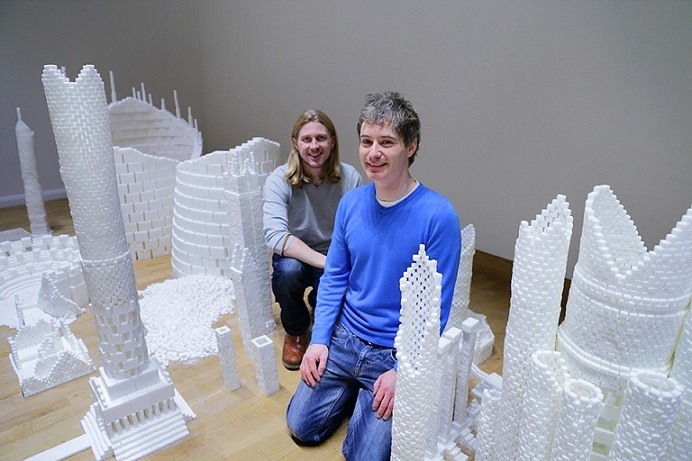 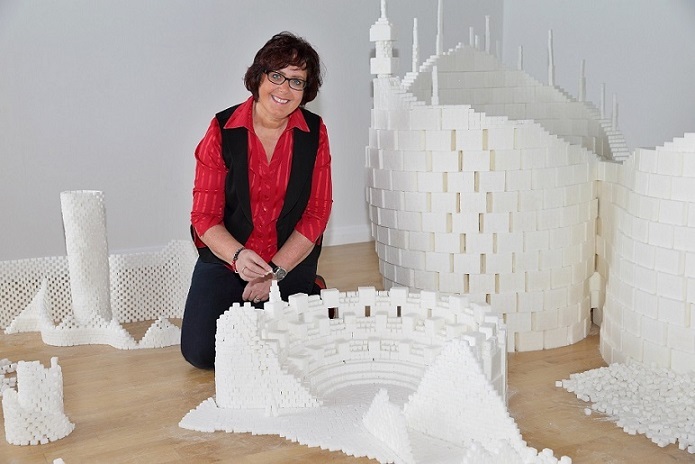 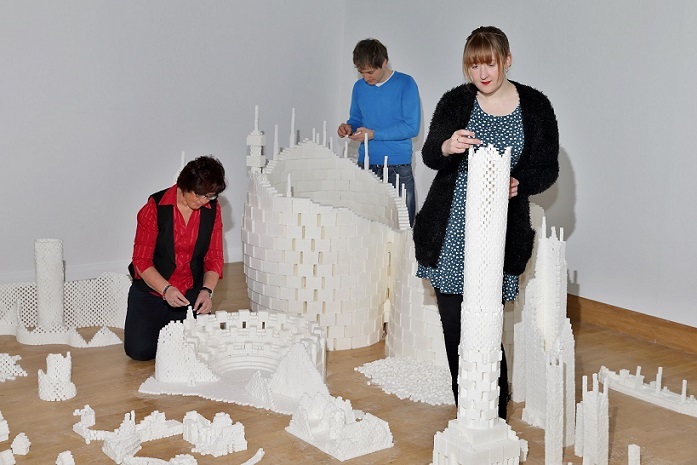 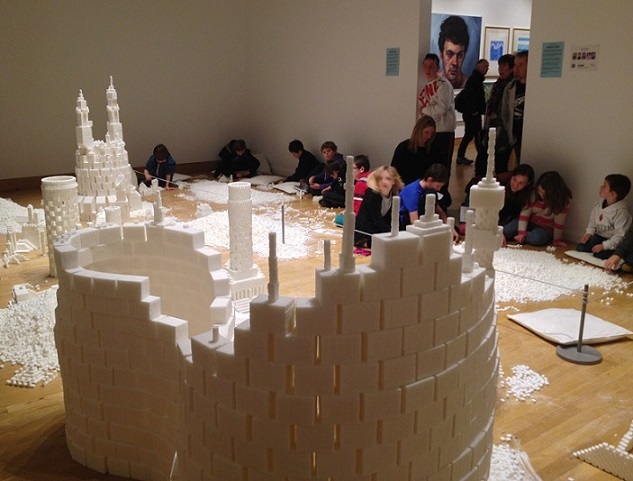 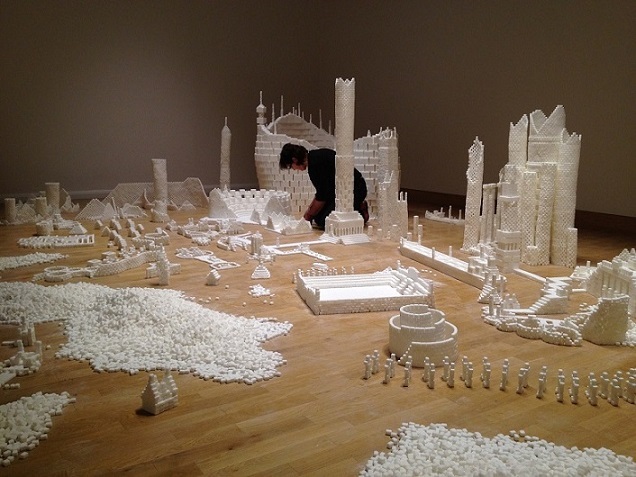 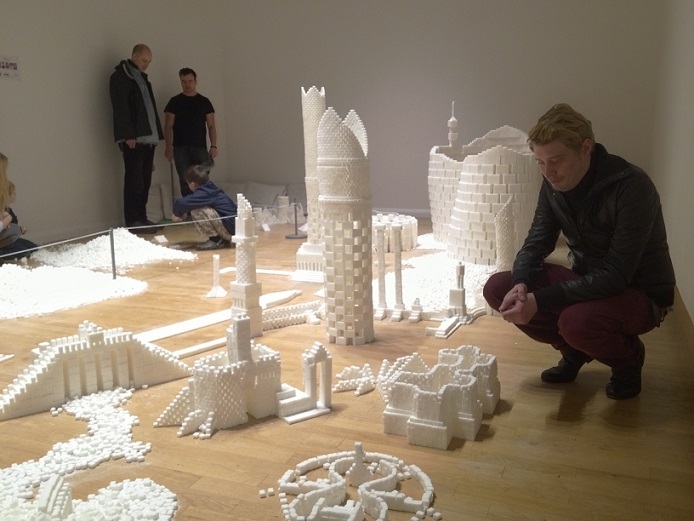 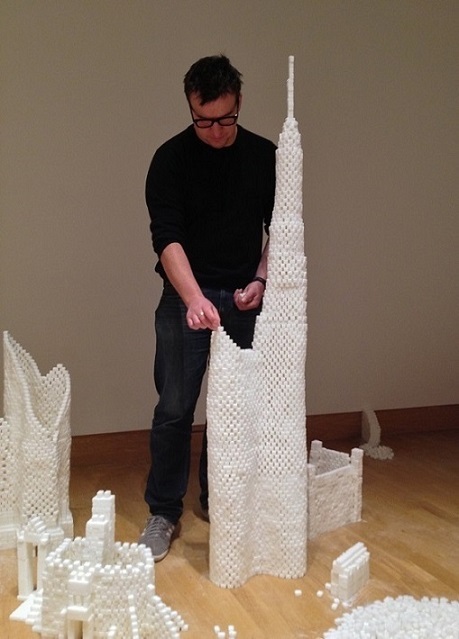 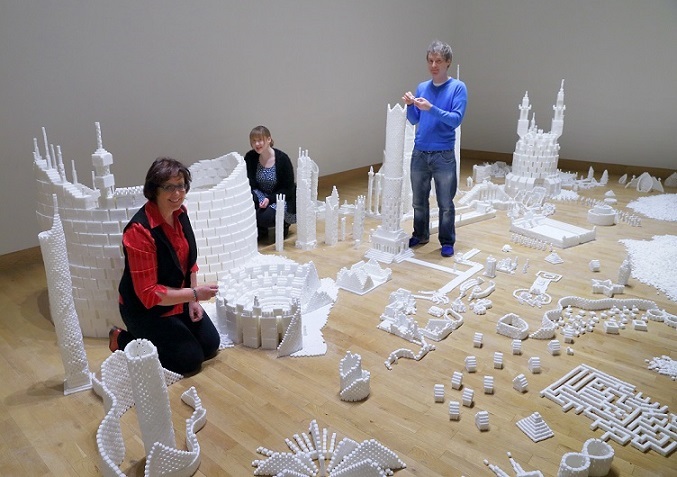 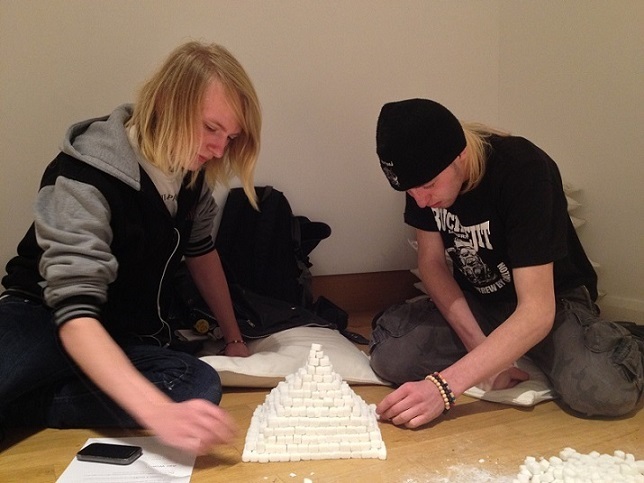 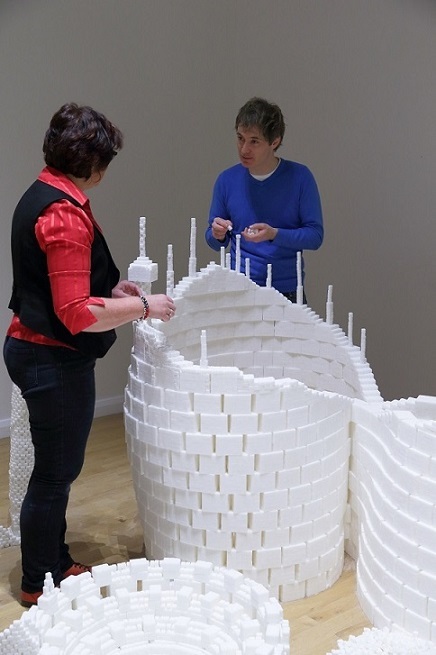 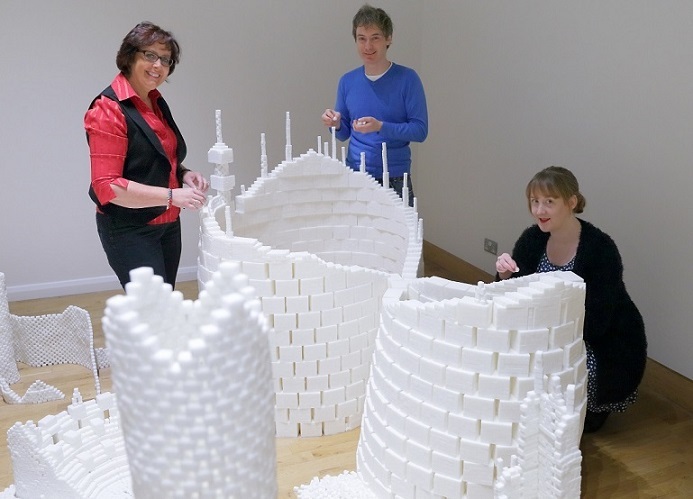 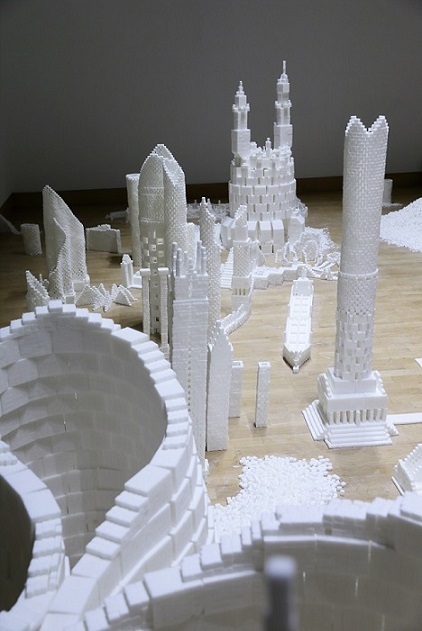 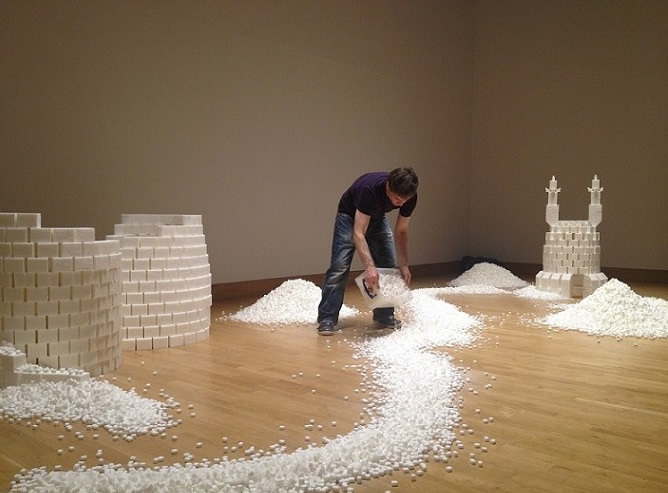 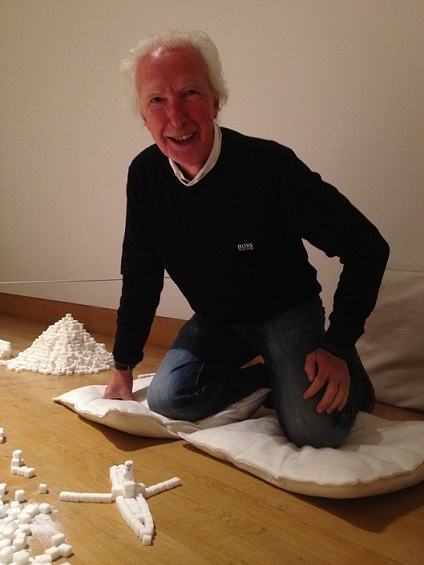 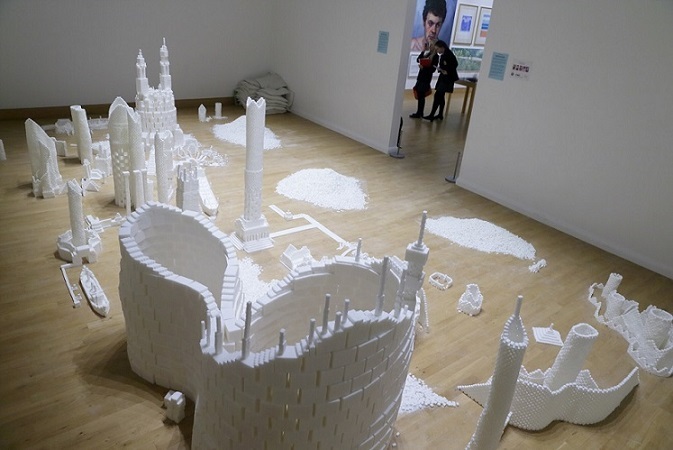 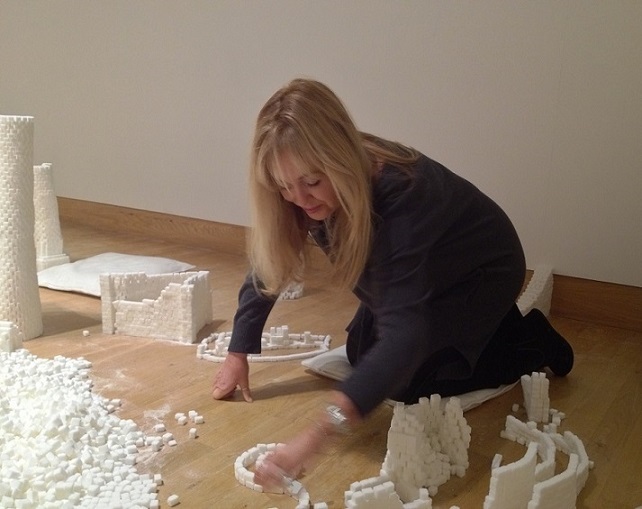 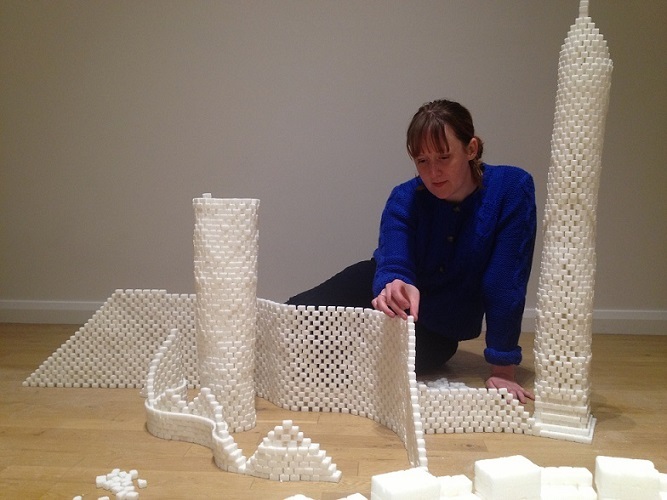 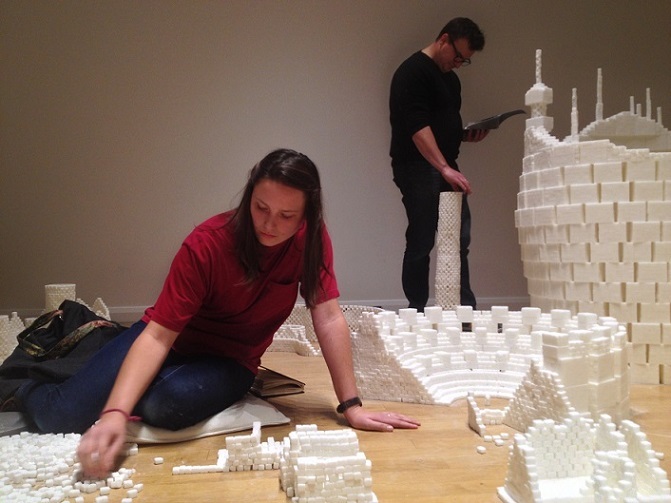 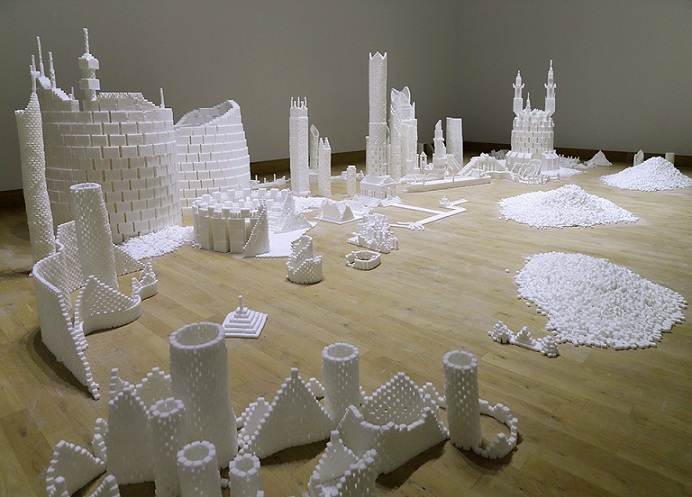 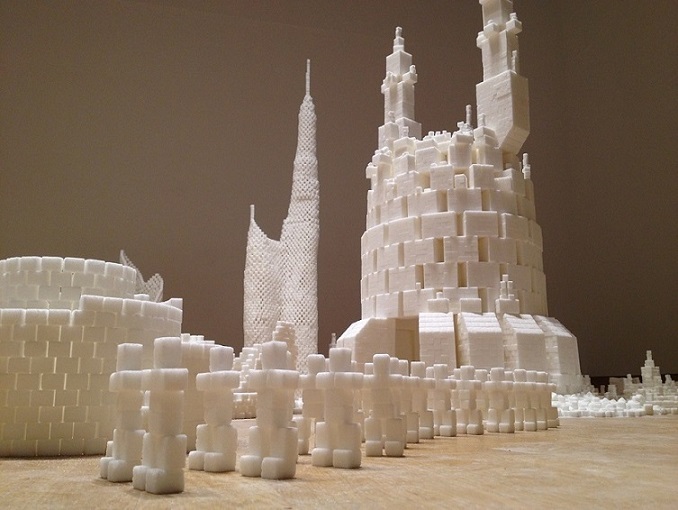 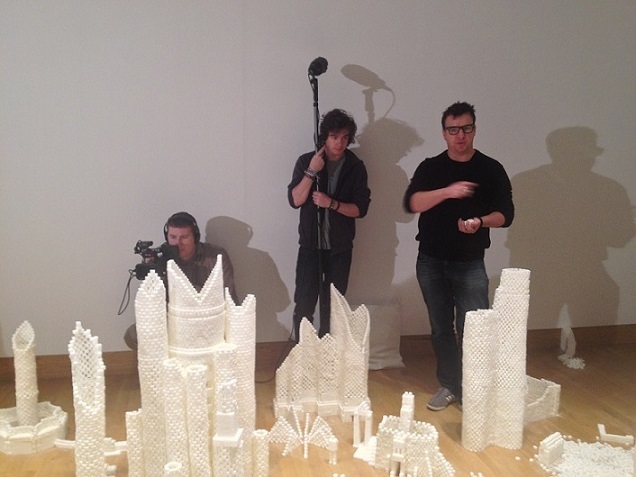 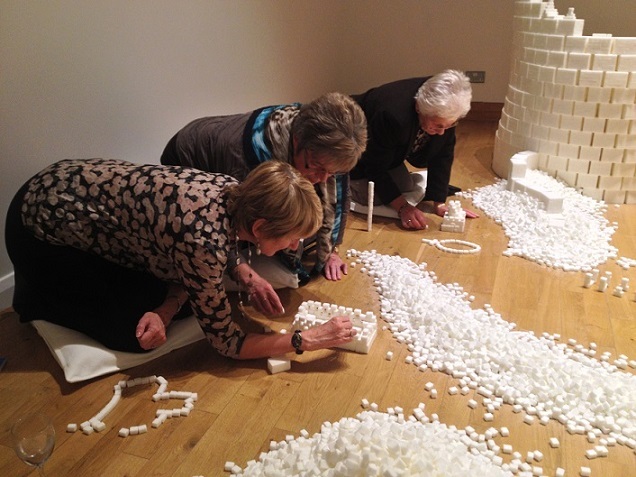 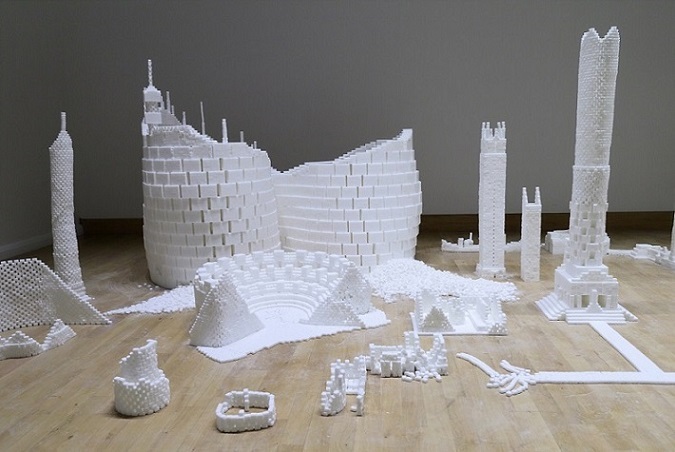 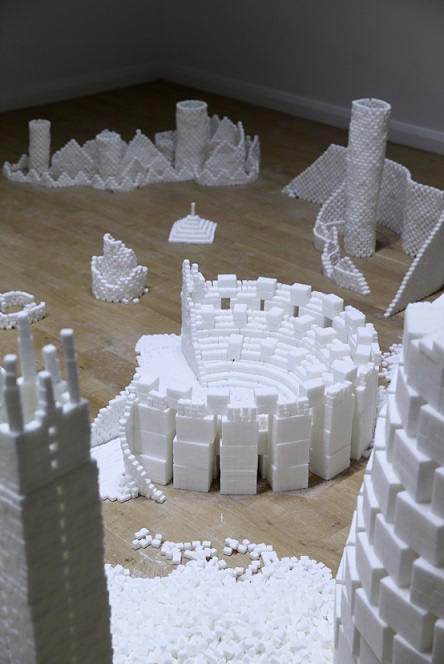 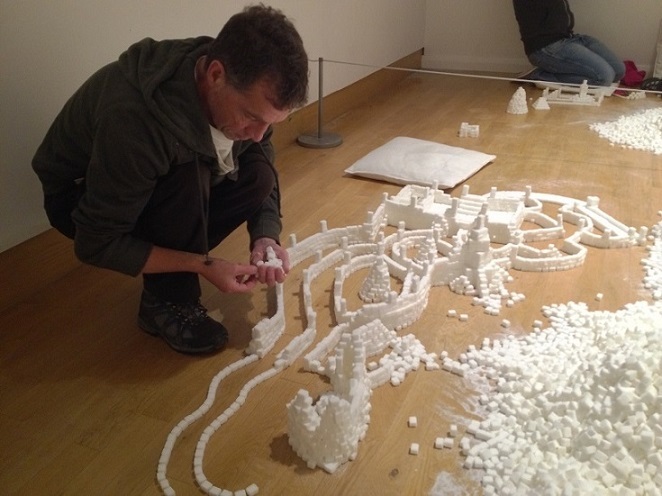 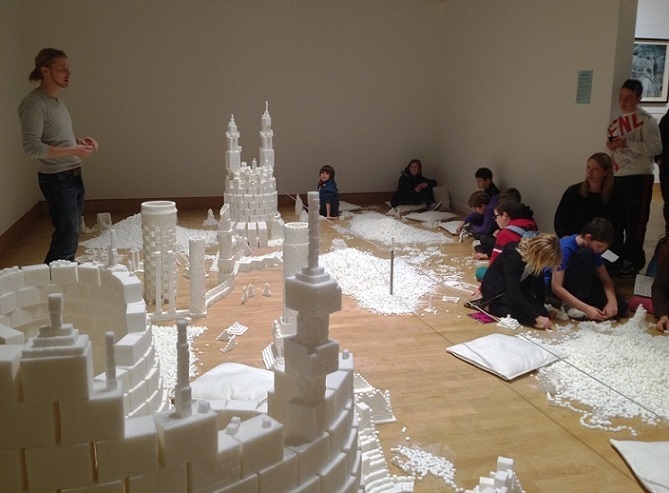 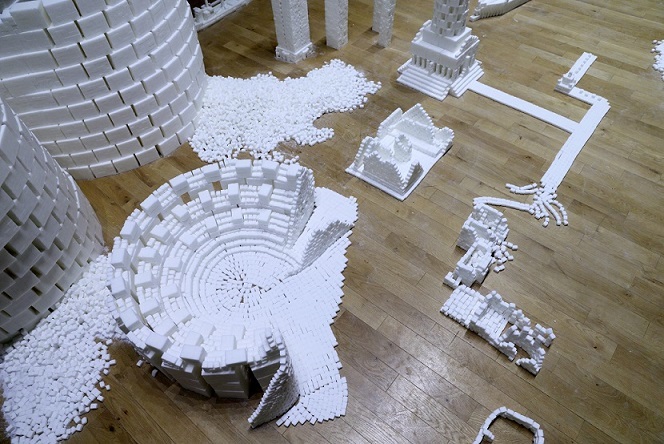 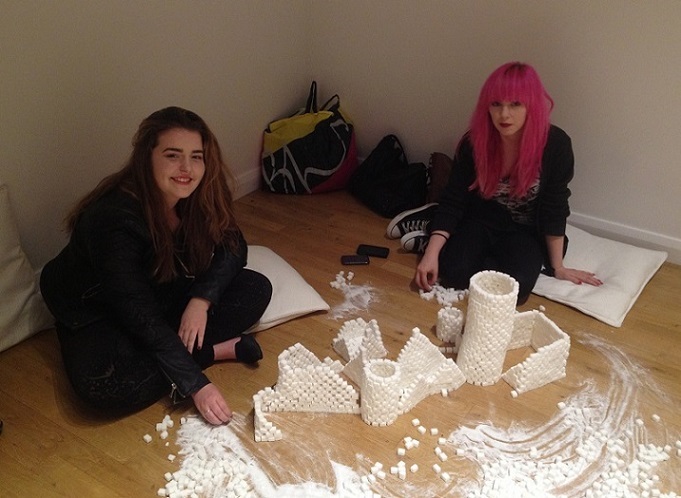 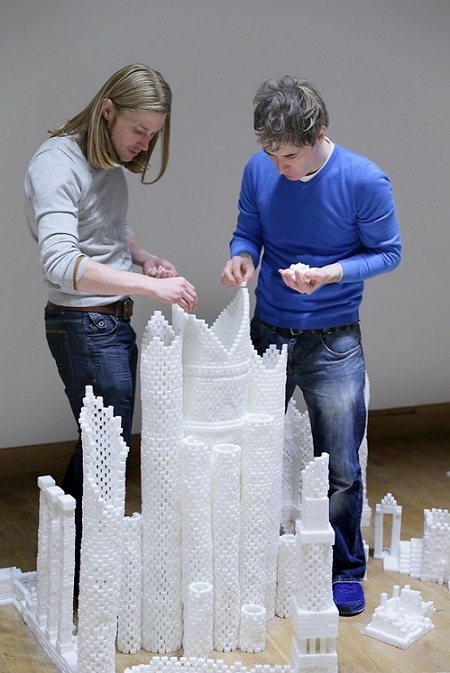 From 18 October to 17 November 2013, every visitor to the Ulster Museum was invited to participate in the creation of this large-scale sugar cube sculpture installation, enclosed within its own room as part of the Royal Ulster Academy's 132nd Annual Exhibition. 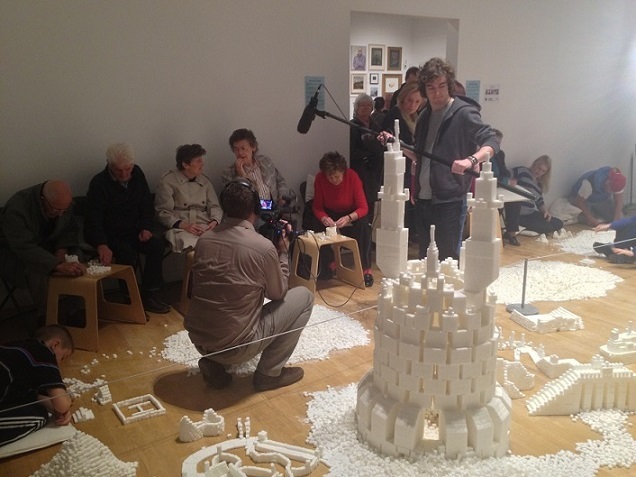 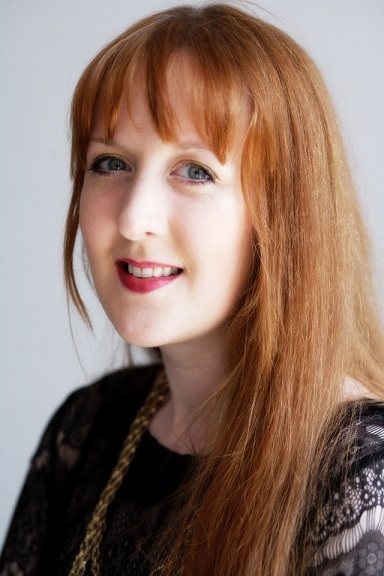 The project was generously sponsored by KPMG, Arts & Business N.I. 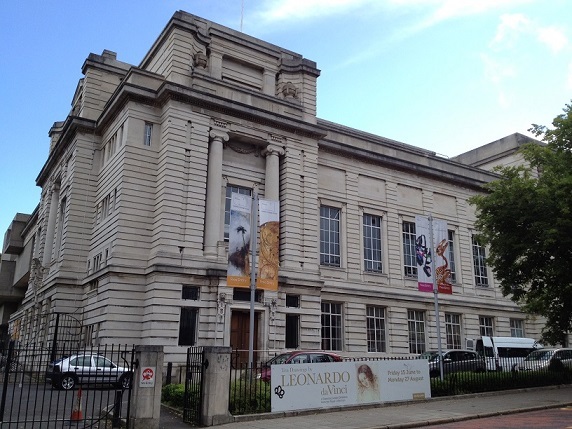 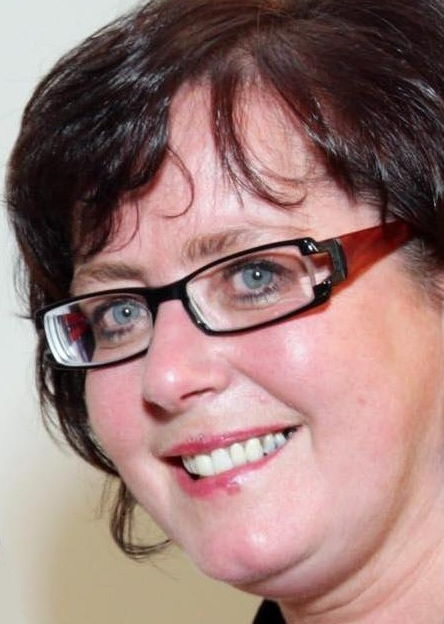 and Belfast City Council. 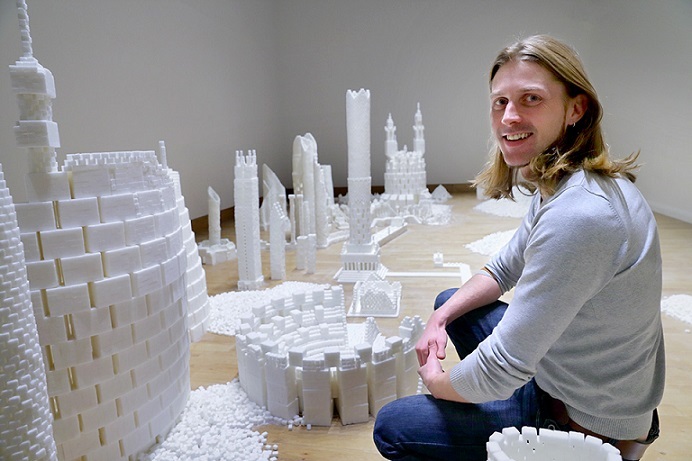 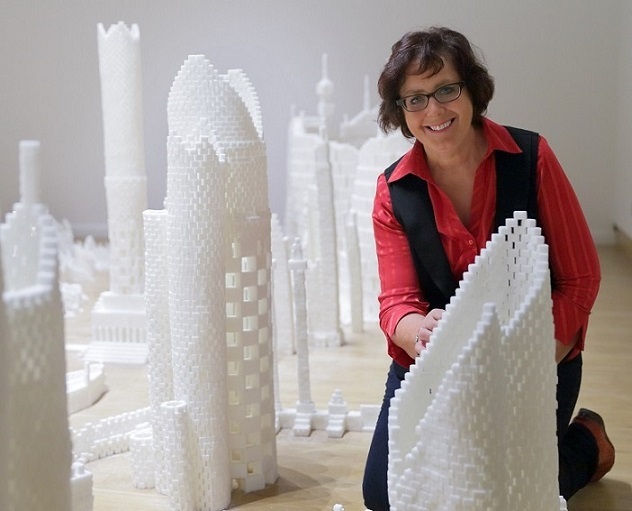 Over 5,000 people created the imaginary ‘city of the future’, a sweet metropolis with half a million sugar cubes, built into free-standing structures and all sparkling under the lights with a sense of wonder and magic. 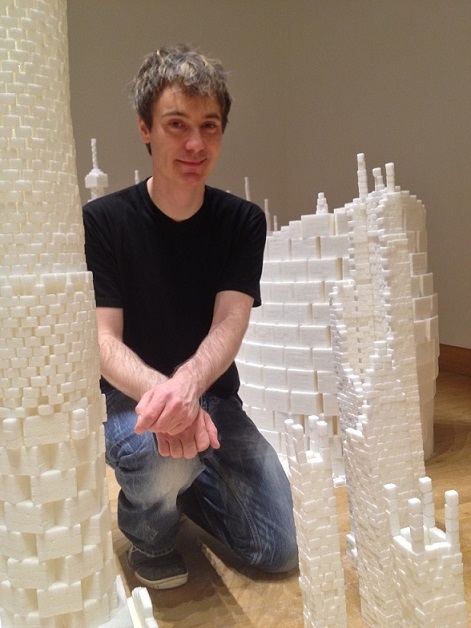 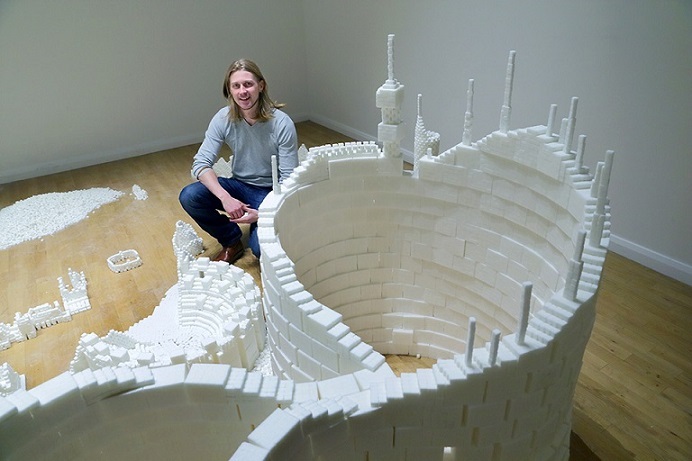 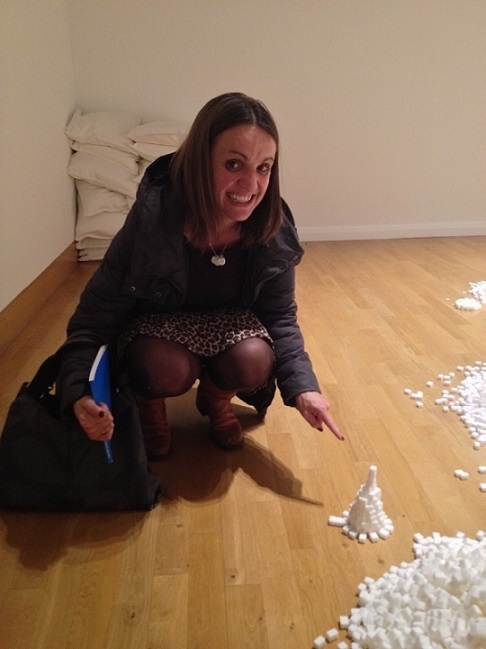 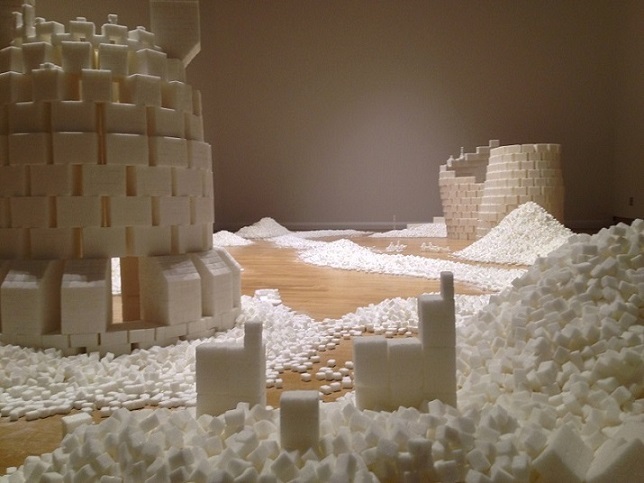 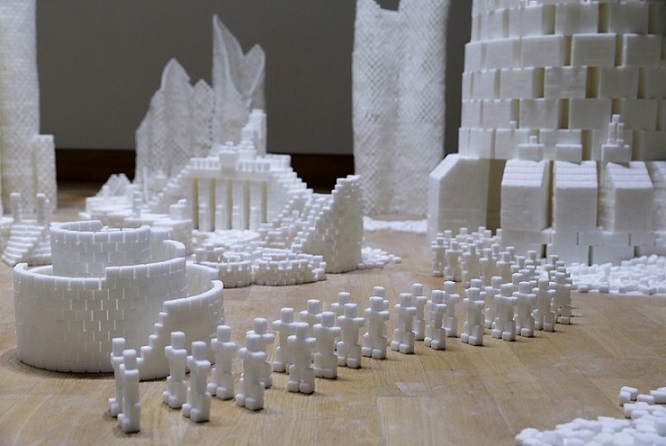 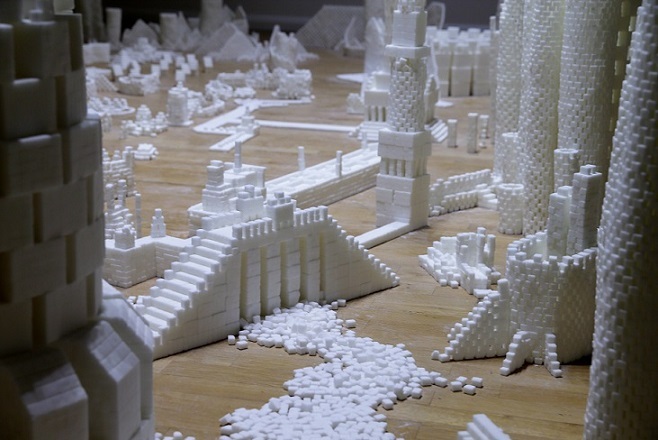 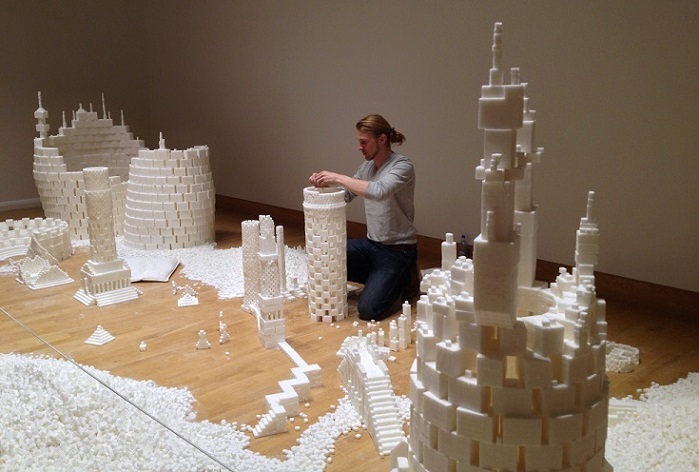 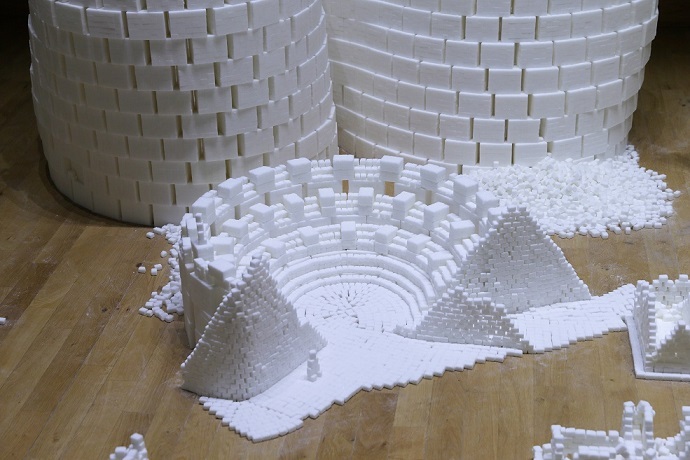 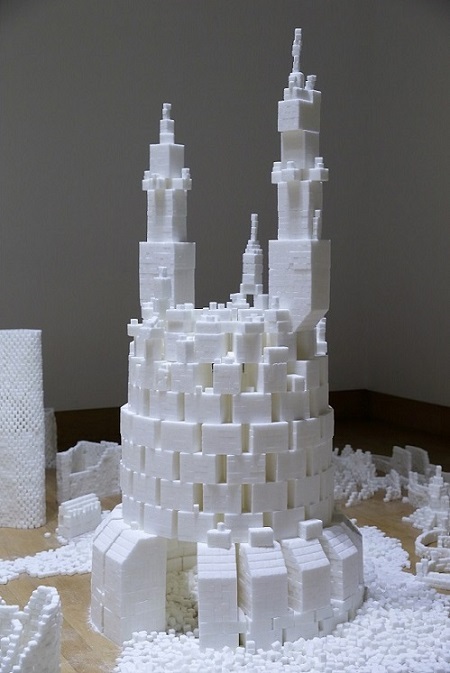 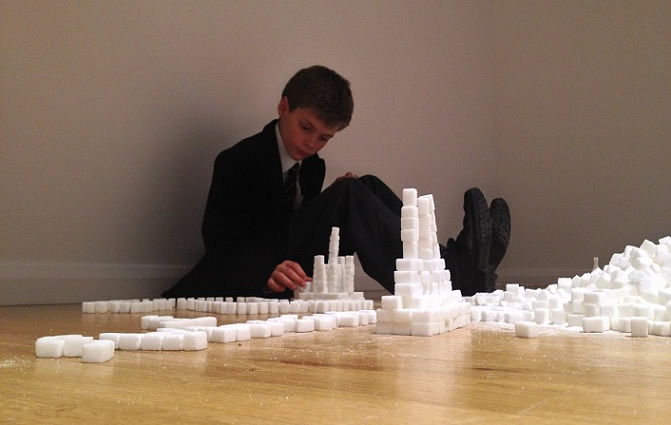 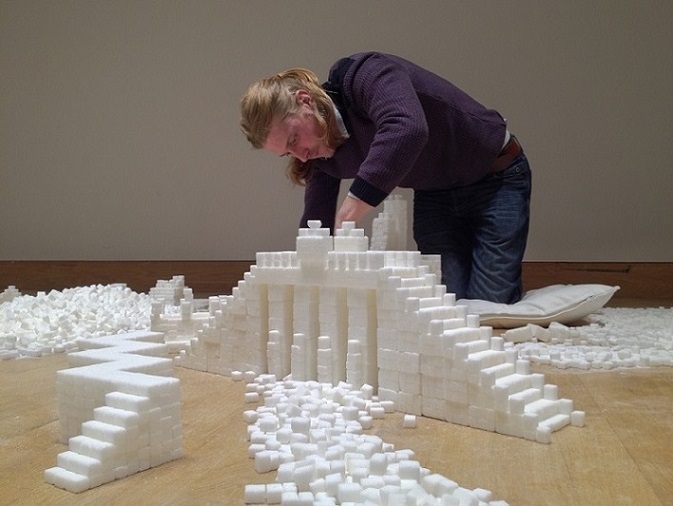 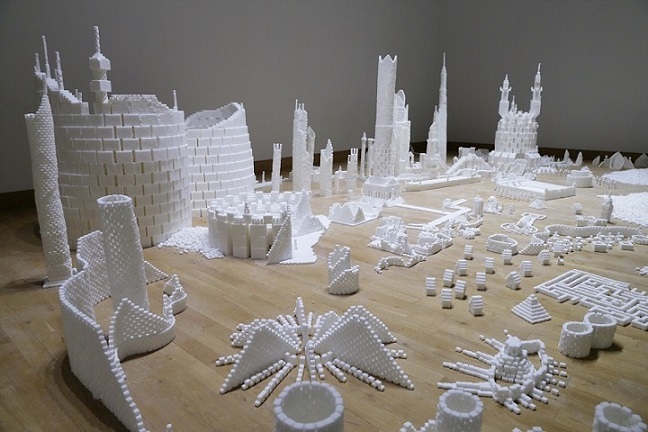 The sculpture installation began with a meandering river of sugar, complemented by giant mountains of sugar cubes. 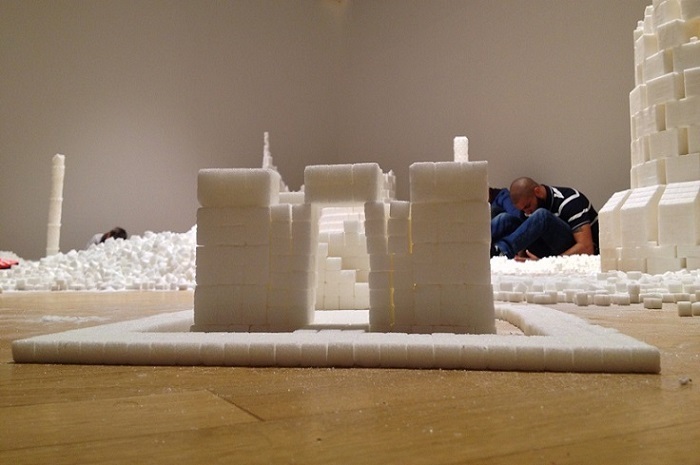 Visitors sourced their cubes from the mountains, depleting the mounds as the imaginary city grew vertically. 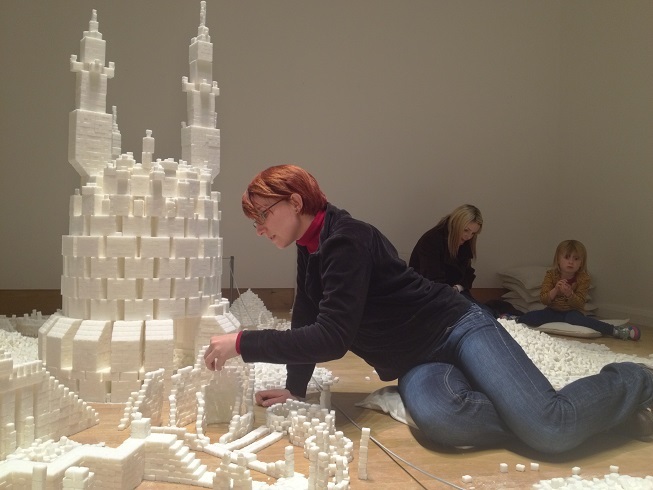 During each day, one sculptor (from a special team of 5) was on hand to construct parts of the city. 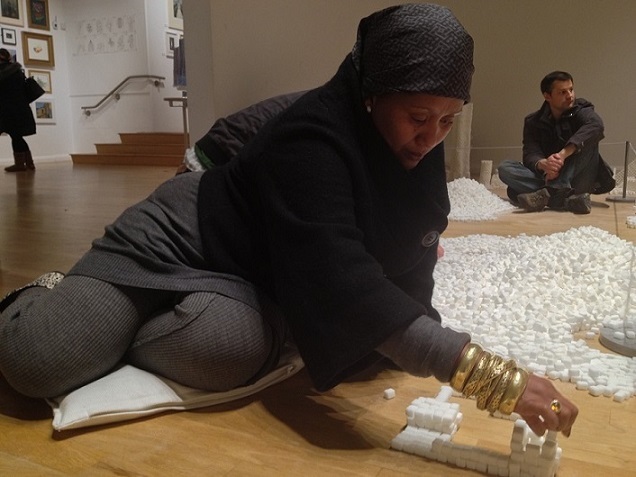 For visitors entering the installation, the sculptors demonstrated how to build the cubes in a stable fashion. 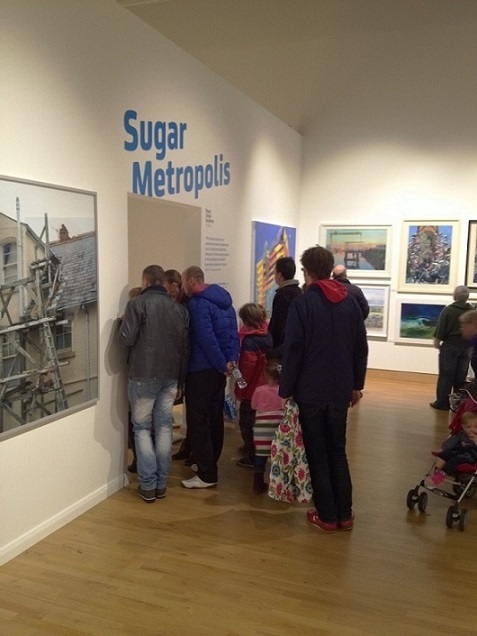 President of the Academy, Colin Davidson, described how "the Sugar Metropolis project enables the RUA to fulfil the primary aim of celebrating, enriching and expanding contemporary approaches to the visual arts through the creation and display of a highly innovative and original artwork constructed by exhibition visitors from all age brackets and all backgrounds." 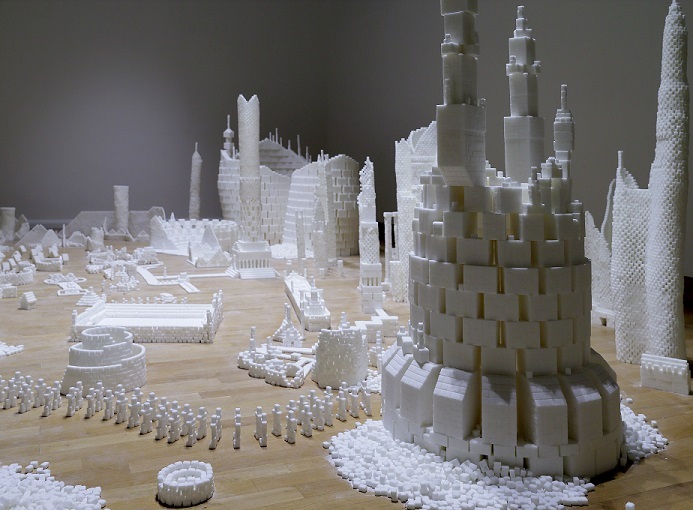 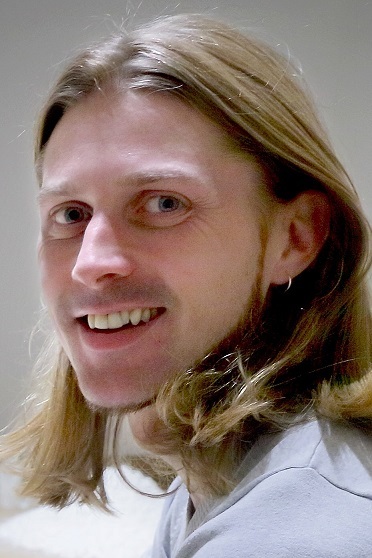 Brendan Jamison outlined how "this special project aimed to celebrate the power of collaboration in art, unlocking the potential of thousands of minds working together in the realisation of an artwork beyond any one person's singular vision."